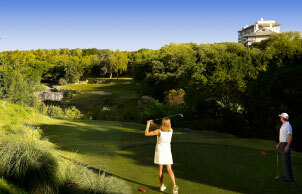 Located only minutes from the fabulous Barton Creek Resort and Spa with four signature golf courses. Ask about our Complimentary Limousine Service for Out-Of-Town Guests. Do you want a dramatic improvement in your smile and overall appearance? Interested in a “Smile Makeover” for a fabulous, bright-white beautiful smile that will give you a great new look that gets you noticed? Come to Austin, Texas to visit the experienced and talented dentists of The Cosmetic Dentists of Austin. They are ready to help you achieve a stunning and healthy new smile that will truly change your life. And with our four day Express Smile Makeover you can complete your treatment in just one trip! Imagine staying in beautiful Austin, Texas for a few days of sightseeing, shopping, fine dining and fun recreation and then returning home with the beautiful new smile that you have always dreamed about! Visiting Austin for your Smile Makeover will be a fun and exciting escape from the ordinary and the results you’ll receive will change your life forever. Experience Matters – The Cosmetic Dentists of Austin have over 40 years combined experience in cosmetic dentistry and have completed thousands of smile makeovers! Clients from Texas, the United States and around the World visit The Cosmetic Dentists of Austin for their Smile Makeovers. Our experience means we complete your smile makeover correctly the first time without any hassles or disappointments. Sedation dentistry options to ease your fears and anxiety. Our advanced sedation dentistry allows you to relax and drift away while we complete your treatment. Easy financing* to ensure your smile makeover is affordable. Call us today at 512.333.7777 and our new patient coordinator will be happy to arrange your travel, help you decide on lodging, and suggest attractions to visit while you’re in Austin. Discover a resort that is uniquely Texas and extraordinarily Austin. Framed within 4,000 secluded acres of rolling hills just outside of Austin, Texas, Barton Creek Resort & Spa offers beautifully appointed guestrooms, suites and villas, four spectacular championship golf courses, the full-service Three Springs Spa, award-winning conference and meeting facilities, four extraordinary dining options, numerous recreational activities and so much more. 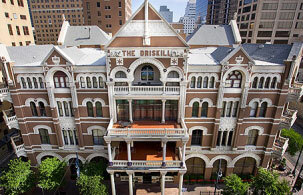 The Driskill Hotel, built in 1886, is a downtown Austin hotel that is a landmark of Texas hospitality. Located in a prime downtown location, this historic Texas hotel offers an elite level of luxury and service as one of the world’s finest hotels. Austin, Texas Four Seasons is the world’s leading operator of luxury hotels and resorts. 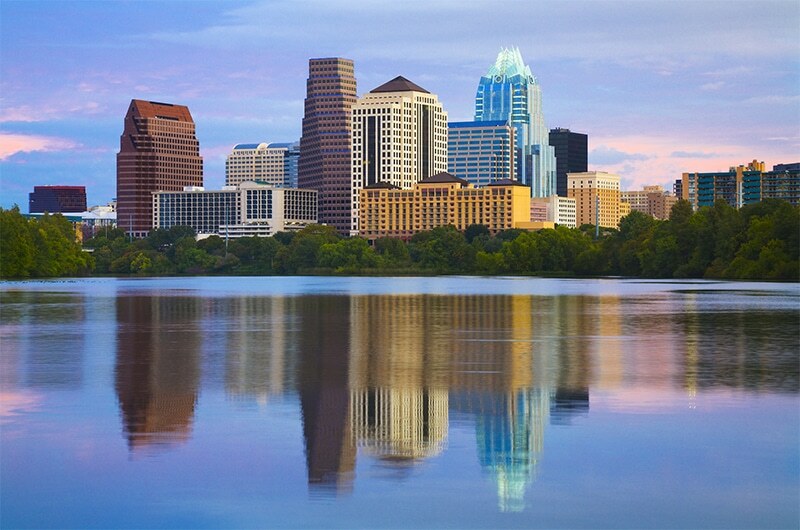 Visit our site to plan your vacation, getaway, or business travel to Austin, TX. Located in the heart of downtown Austin, Texas, the Radisson Hotel & Suites Town Lake provides stylish, comfortable accommodations and the best in services and amenities, including an on-site, full-service T.G.I. Friday’s® restaurant and a StarbucksÂ© coffee shop. If you love shopping, you’ll love shopping at Barton Creek Square with its more than 180 specialty retailers and anchor stores Nordstrom, Dillard’s, Macy’s, JCPenney, and Sears. Enjoy shopping at stores you know and love, like Abercrombie & Fitch, Ann Taylor, Aveda, Banana Republic, bebe, Children’s Place, Coach, Pottery Barn, Talbot’s and more. The Domain is one of the most popular shopping centers in Austin Texas and is known for its wonderful stores and great eateries. The Domain is located in the heart of Austin’s northwest corridor, near the historic IBM campus. Shopping is only one of the aspects of experiencing the Northcross Mall. Filled with stores, restaurants, an even an ice skating center, this is the perfect place for a family shopping trip. Interested in a Smile Makeover for a fabulous, bright-white beautiful smile that will give you a great new look that gets you noticed? * Easy Financing is not available for Wells Fargo applicants. Wells Fargo does provide Special Financing for qualified applicants.